Good news, all. The Premier League is back – and it could be another open and unpredictable fantasy gameweek. Some of the teams that surprised us with excellent starts – Bournemouth, Watford, Wolves – have been more inconsistent of late, while early strugglers such as Huddersfield, Newcastle and Cardiff are starting to get some points in the bank. There are no major bankers this weekend, although home fans will be expecting three points at both Old Trafford, where Manchester United host Crystal Palace, and Goodison, where Cardiff are the visitors. Manchester City, Liverpool and Arsenal all face potentially challenging away games, while Fulham hosting Southampton and Newcastle’s trip to Burnley on Monday night are of great interest in the bottom half. Oh, and there’s also the small matter of a London derby between Tottenham and Chelsea at Wembley. 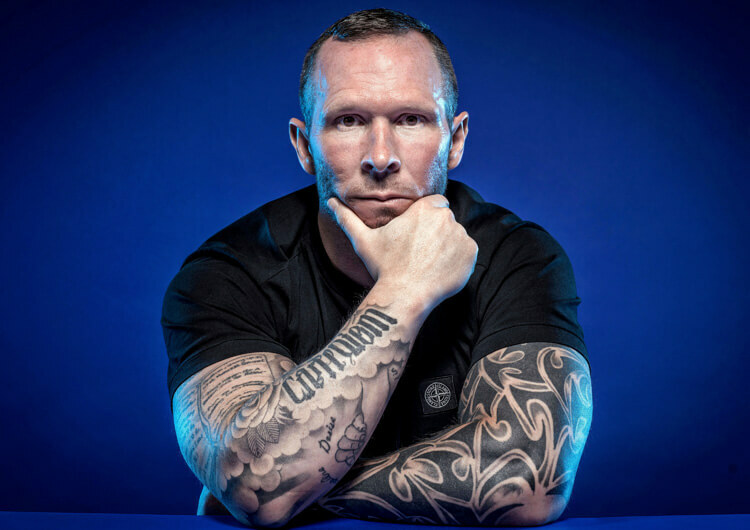 With none of the usual favourites – Eden Hazard, Mo Salah, Sergio Aguero and Harry Kane – guaranteed to score heavy this weekend, attention could turn to Goodison Park for Everton’s clash with Cardiff. 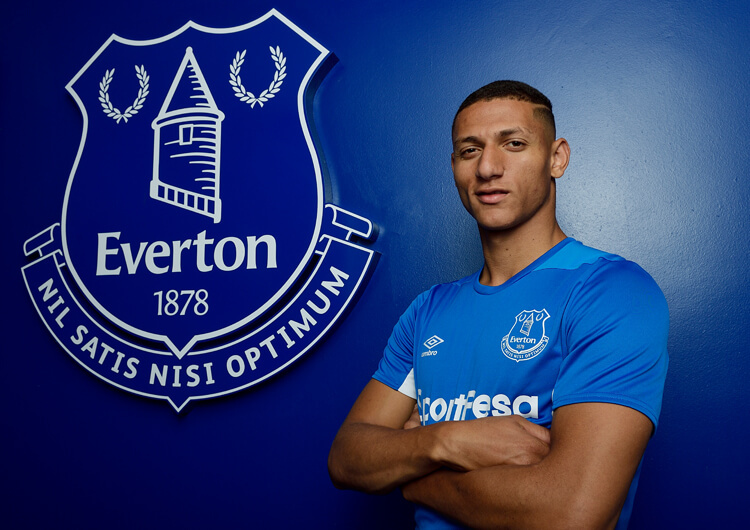 And, specifically, to the Toffees’ young Brazilian forward Richarlison. Everton have already seen off Brighton, Crystal Palace, Fulham and Southampton at home this season, with Richarlison scoring three goals across those four victories. Despite two wins in their last four league games, Cardiff have had some difficulty in defending their box and tracking runners as the ball gets closer to their goal – Liverpool, Fulham and Leicester have all had joy in this area in recent weeks. This is good news for Richarlison, who will be looking to make runs in behind the defence as his direct opponent looks away from him and towards the ball – exactly as he did when scoring his team’s first in a 3-1 win against Brighton (above). More of the same could see him get on the scoresheet at least once this weekend. In his last eight league games for Wolves, Mexican striker Raul Jimenez has scored or assisted in six of them. He has started all 12 of Wolves’ fixtures in the Premier League so far this season, and is also one of their nominated penalty takers alongside Ruben Neves – both scored from the spot in the recent 3-2 defeat at home to Tottenham. 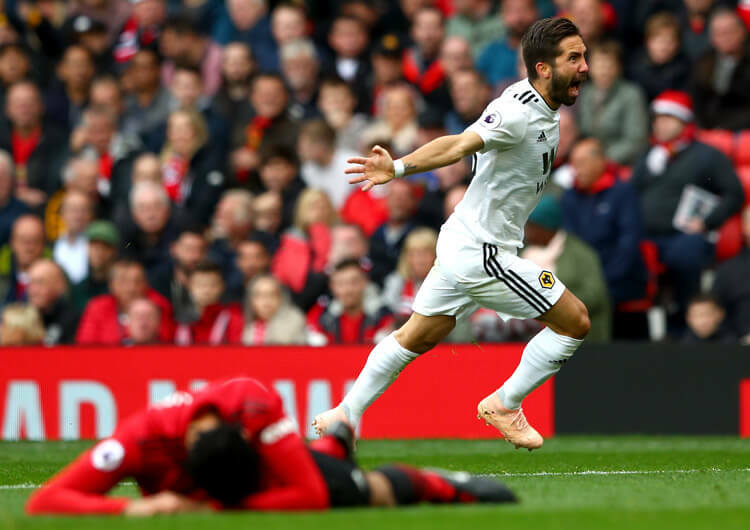 Jimenez is a penalty area predator who is comfortable finishing both in the air and on the ground, but he is also able to create chances for others from his centre-forward position – as he did for midfielder Joao Moutinho (above) in the excellent 1-1 draw at Old Trafford. At £5.8m, he won’t break the bank – and a home game against Huddersfield this weekend, plus a visit to Cardiff next Friday, should afford him a decent opportunity to add to the 56 points he has already amassed in an impressive first Prem season. With Harry Maguire still unavailable for Leicester, Wes Morgan may seem like a good, cheap alternative in a Leicester side that has kept two clean sheets – in Cardiff and at home to Burnley – in their last two games. However, Leicester face a trip to Brighton, who have scored in every home league game this season – and that includes in fixtures against Tottenham, Manchester United and Wolves. The Seagulls post a threat in open play, both through the physical presence of veteran striker Glenn Murray (six goals this season) and the creativity of Anthony Knockaert (three assists) behind him. 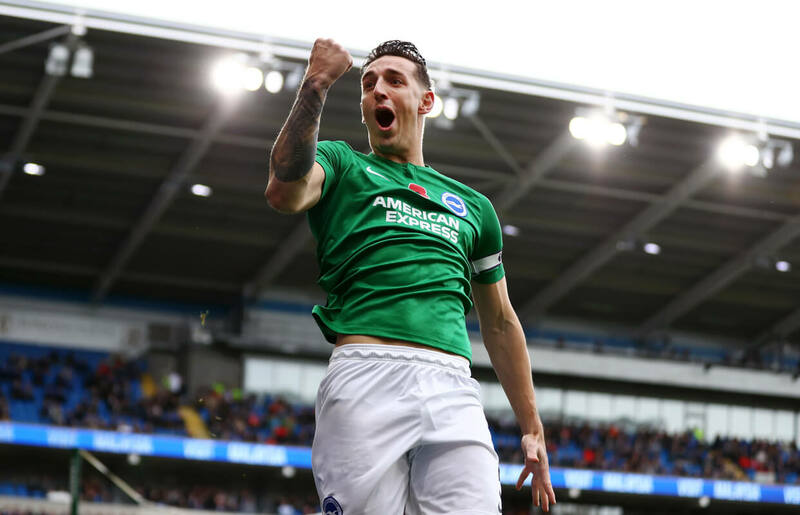 Centre-backs Lewis Dunk and Shane Duffy have both scored twice, proving they are a handful at set-pieces too – not good news for Morgan, who has been known to give away plenty of free-kicks in and around the area. Fantasy players will also have noted his two red cards already this season. Liverpool didn’t quite do the damage we predicted they might at home to Fulham, running out 2-0 winners after they should possibly have fallen behind to a Aleksandar Mitrovic header ruled out for offside. Sadly for us, Sadio Mane wasn’t involved in either goal, picking up only a clean-sheet bonus of one point. This one couldn’t have gone much better, as our selection Lewis Dunk (above) scored the first goal of the Premier League weekend in Cardiff. His clean-sheet chances didn’t last long, and Brighton lost, but Dunk still picked up two bonus points to add to his goal. Another one that went well, with Anthony Martial scoring from the penalty spot in Manchester United’s 3-1 defeat to Manchester City in the big derby game. The Frenchman could be in the points again this weekend, as United host Crystal Palace. Had Mitrovic’s header against Liverpool stood, we would have been left with egg on our faces for this call. As it was, the officials did us a favour and Mitrovic – who is still one yellow card away from a suspension – left Anfield with nothing more than appearance points.